Laksa is a noodle soup originating from descendants of early Chinese migrants who settled in Penang, Malacca, Singapore and Indonesia. The curry paste used to make the soup is full of aromatic Southeast Asian ingredients, such as Kaffir lime, lemongrass, galangal and turmeric root. 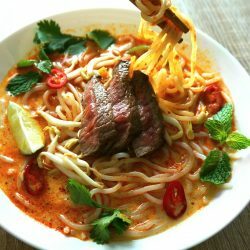 While it is possible to buy a pre-made laksa paste in Asian markets, making it fresh will always yield the best results. 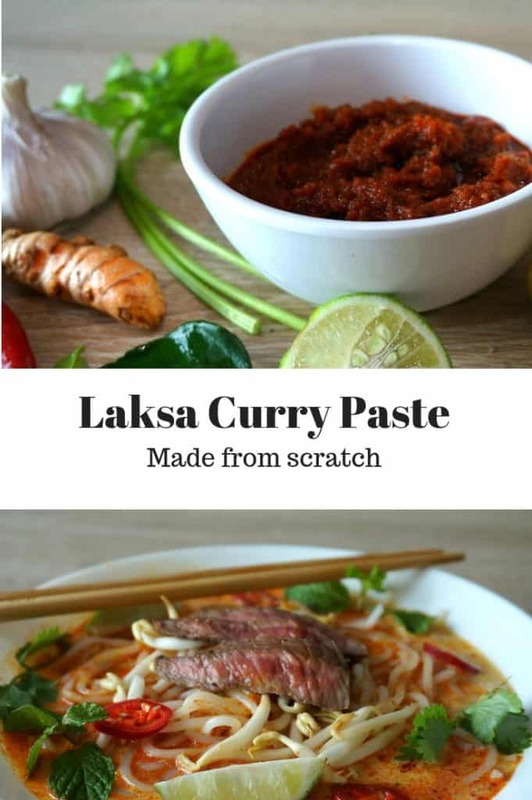 For all of those enthusiasts who are motivated to make fresh laksa paste, I recommend doubling the recipe. You can then take half and freeze it in ice cube trays, then transfer them to freezer safe bags when frozen. They can be used when preserved that way for up to 3 months. 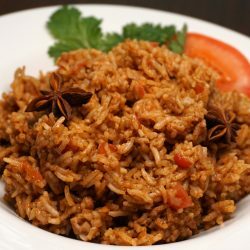 Additional International Recipes that you might enjoy! Or search our International Recipes Collection to view our full collection of recipes inspired by our ongoing travels around the world. Place all ingredients (except the oil) in a food process and blend. Add oil in small amounts until a smooth paste is formed. 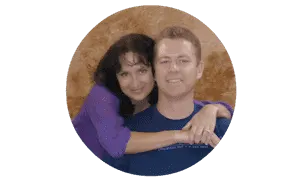 Using all of the oil may not be necessary. Place the paste in an airtight container. It can be used up to a week. 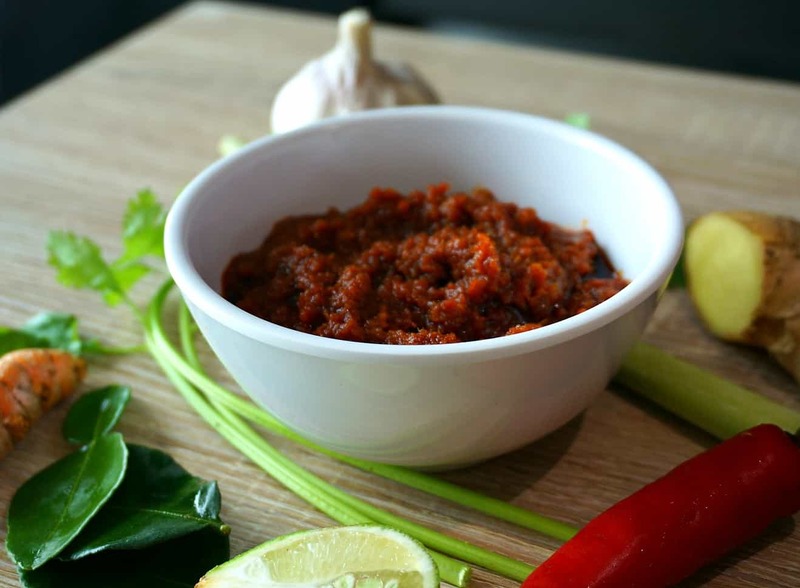 * Indonesian Cabe Merah peppers are used in traditional Laksa pastes, but they can be challenging t find. 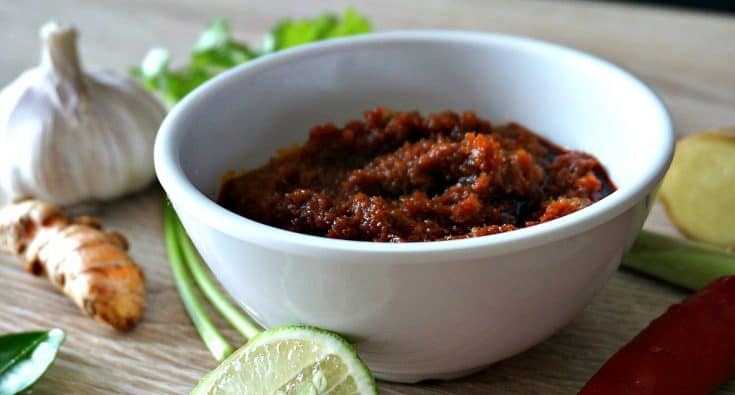 You can substitute Cayenne pepper, Cihie de Arbol, Guajillo chiles (which will result in less heat. For milder heat overall, remove the seeds and membrane of the chiles. You can also used dried chiles. If using dried chiles, heat water to boiling and cover the peppers for 10 minutes to revive their texture. 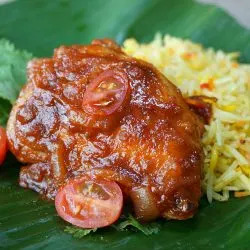 ** I have opted to use oyster sauce or Thai fish sauce instead of traditional shrimp paste in this recipe. 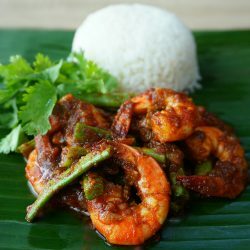 The shrimp paste can be difficult to find, and can have a strong fishy flavor which is balanced by using lime juice in the laksa soup. 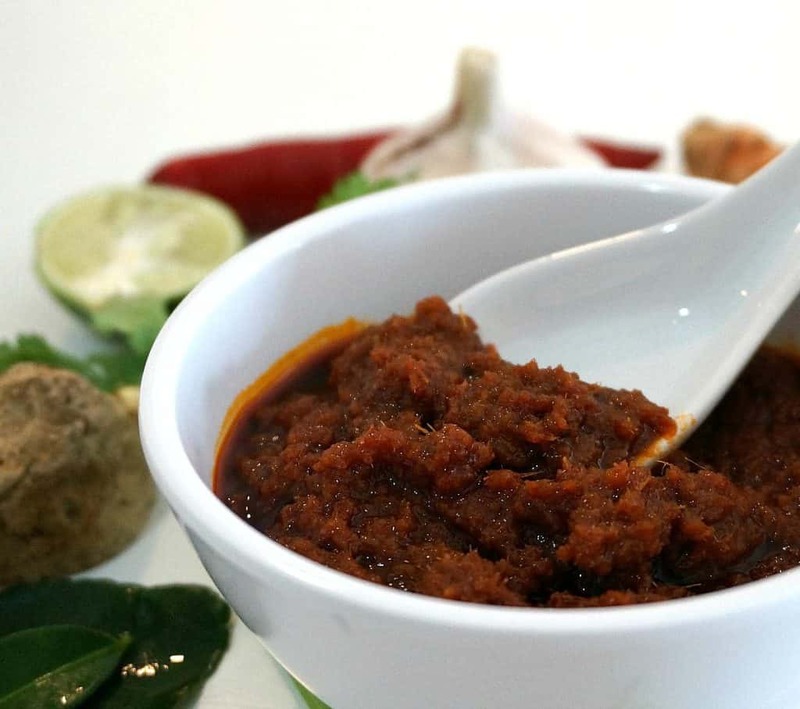 If you opt to use the traditional shrimp paste, substituted 1 teaspoon of the paste for each tablespoon of oyster or fish sauce. 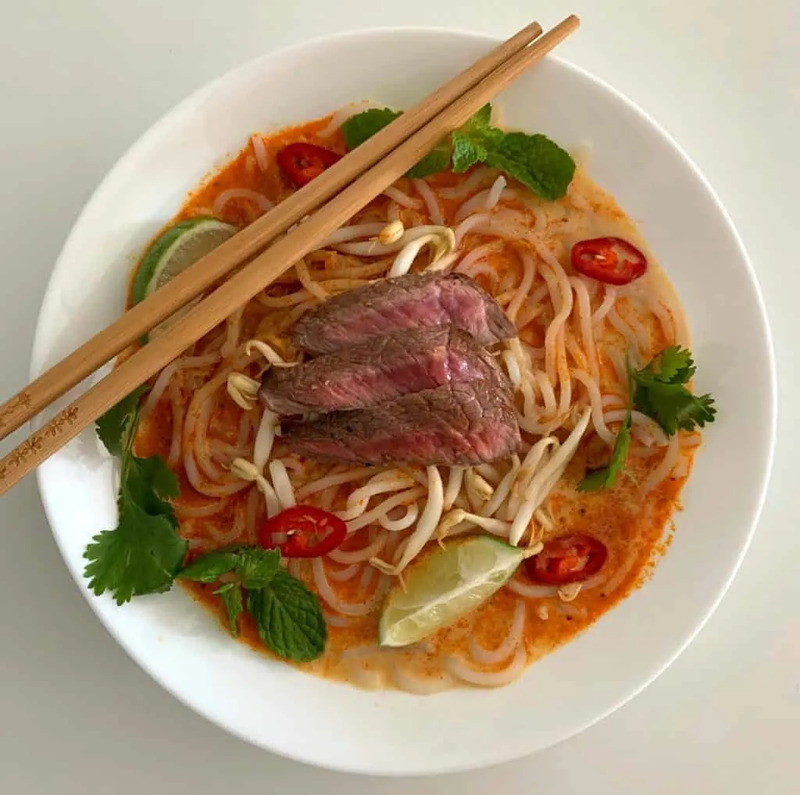 Once you have made the laksa curry paste, you are one step closer to a bowl of creamy Malaysian Beef Laksa Curry Noodle Soup!